Today, in his role as Youth Asset Development Coordinator with The Collective on St. Thomas Street, Huising knows first-hand how vital it is that youth be heard and supported to succeed. “If adults only knew the power behind listening to a kid,” says Huising in reference to American research concluding that only 37 percent of youth have a positive adult role model outside of their family. That’s where Huising’s work and The Collective come in. 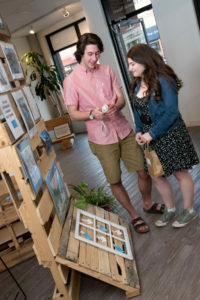 The Collective, which opened its doors in 2016, is all about “connecting youth to their peers, to the community where they can get a sense of involvement and belonging, and to themselves as they learn to deal with situations in their lives,” says Huising. One of the many ways The Collective initiates these connections involves a concept called “The 40 Developmental Assets,” a theory that evolved from research done by the Search Institute in Minneapolis, Minnesota. Huising compares its premise to a game of Jenga: “The more holes you have in your support system, the stronger the likelihood you are going to struggle,” he says. Helping identify those holes is a big part of the work they do. 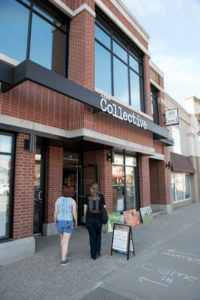 Another way The Collective serves St. Albert youth is through its youth entrepreneurship program, called “The Marketplace.” Here, The Collective and its partners help budding young local entrepreneurs ages 18 to 24 start their own businesses. 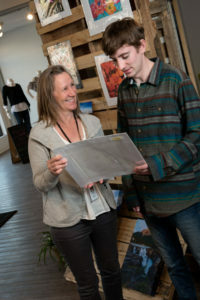 They provide training facilitated by NABI (Northern Alberta Business Incubator) on things such as developing and managing stock and inventory, finances, marketing and customer service—as well as a commercial space on site where they can sell their products. The only costs the youth incur are insurance and a small rental fee. 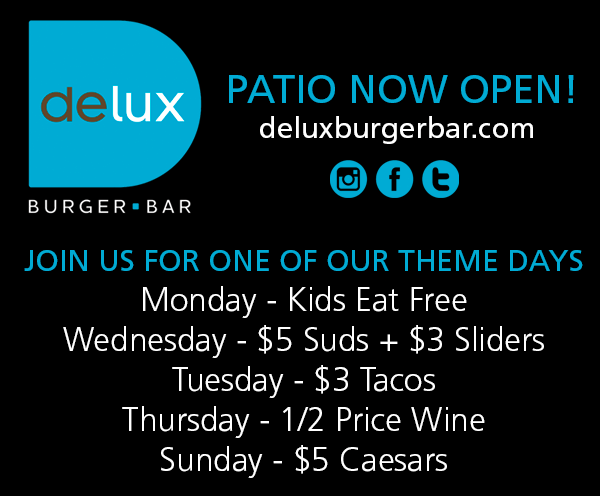 “Our goal is not to make money off this, but to give youth an opportunity they may not otherwise have,” says Huising. The Collective also provides meeting space for groups such as Out Loud, Junior Achievement and BAM (Building Assets and Memories), which launched itself in 2010 as a way to better integrate youth into society through active inclusiveness. Members of BAM are an active bunch. So far this year, they’ve organized a youth retreat at Camp Nakamun, put on a youth-issues conference called 4UBYUS held at the St. Albert Inn and are planning their third annual, mental-health awareness walk. In her role, Vanderveide works collaboratively with local high schools, the library, the food bank, the police and many others. She says the community as a whole is very supportive of what The Collective is doing. “The one great thing about St. Albert is that we work together very efficiently,” notes Vanderveide. In fact, Vanderveide and Huising both believe that it’s due to this more collaborative, inclusive and open-minded approach that there’s been a shift in the way people think about youth issues over the last decade or so. “Instead of denying the problem,” says Vanderveide, “it’s become, ‘Let’s actively acknowledge it, and let’s not just talk about it, let’s do something about it.’” And that seems to be something The Collective is proving very good at. 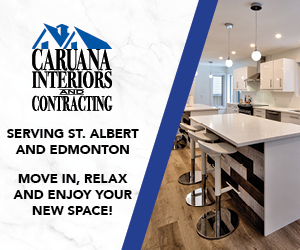 For more information, check out their page on the City of St. Albert’s website. Despite the overwhelming success of BAM’s 2016 Slip ’n’ Slide on Seven event, Huising says “We just don’t have the volunteers or funding to continue.” High attendance and insufficient resources have simply swamped the organizers. Mission: To serve St. Albert youth through entrepreneurship programs, social connections via community engagement and personalized assistance managing life’s struggles. Interesting fact: The Collective is coming up on its first anniversary—they have been at 100 St. Thomas Street since June 1, 2016!